Beautiful dark cooler. It might be a bit pricey, but its worth it. 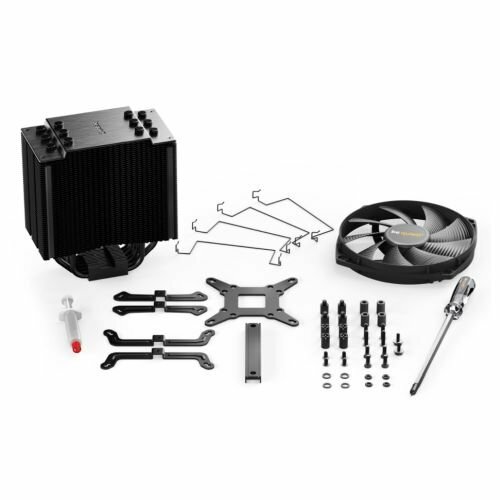 Mounting the cooler and fan is easy. 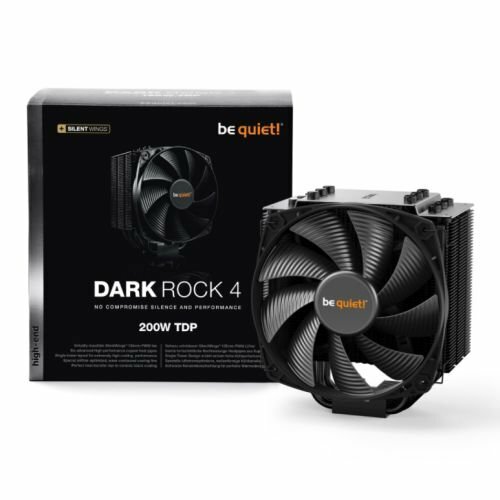 I only changed the cooler and moved from the fantastic little "scythe shuriken 2 rev b" to the "Dark Rock 4" from Bequiet. At the moment i did a minimum of overclocking: 4.4 ghz@ 1.2V on my 6700k. it allowed me to maintain a temperature of 67 degrees on full load with RealBench. On battlefield 1 multiplayer 64p i have reached 69 degrees. we must consider that in July, here in Italy, ambient temperature exceed 30°. Keeps things nice and cool. Fans are quiet as expected and also looks very nice. Mounting it is pretty easy but I made the mistake of mounting it before plugging in the CPU cable, which made that a difficult process. 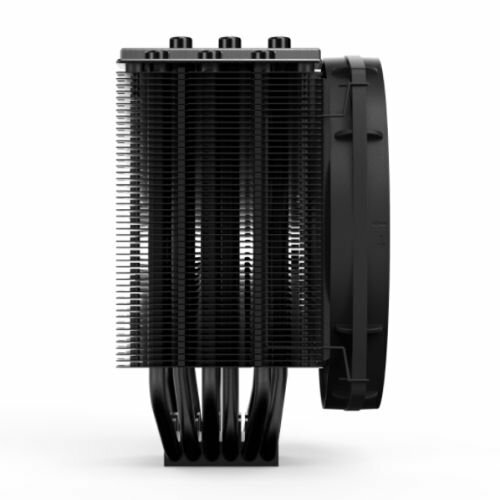 Nice black cooler, easy to mount, keeps my CPU very cool. Looks premium and badass in black cases. A HSF that lives up to its name. be quiet! is indeed very quiet and performs very well keeping this 9600k cool under pressure. 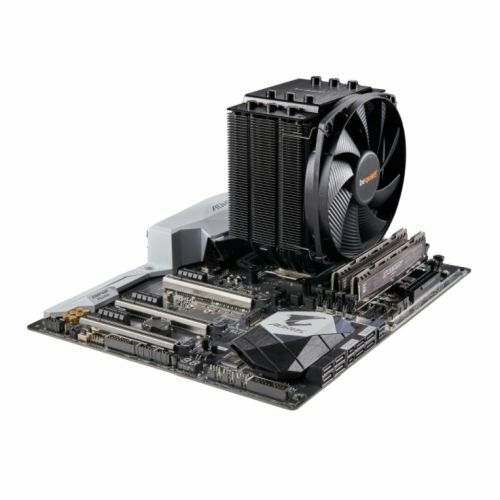 The fan was a little difficult to get into the fins of the heat sink and the mounting plate could use a little more refinement, I still feel like you need three hands to mount the thing. Quiet, not too big, looking good. 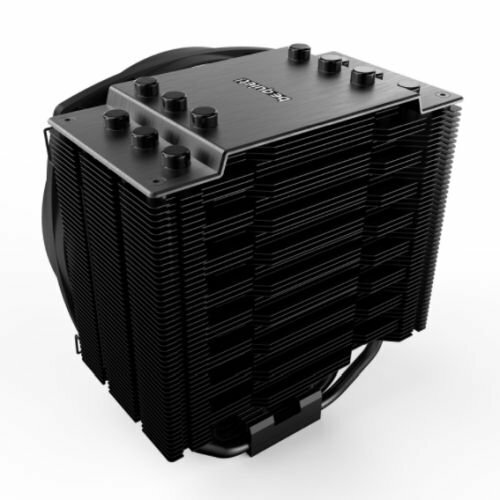 good cooler, keeps my R5 2600 at around 26c to 29c idle and doesn't go higher than 40c while gaming for a few hours. and you cant even hear this thing! Looks wonderful, easy to assemble, and runs perfectly. Also comes with a screwdriver which I was happy to see. Fun surprise. Overall, highly recommended. Taking 1 star off because I feel it could have been a bit quieter. Just a bit. Not a huge problem if you're not putting it on your desk next to your face.